Esteemed author Mario who once had fisticuffs with fellow South American writing star, Gabriel Garcia Marquez, wins Nobel Prize for Literature. 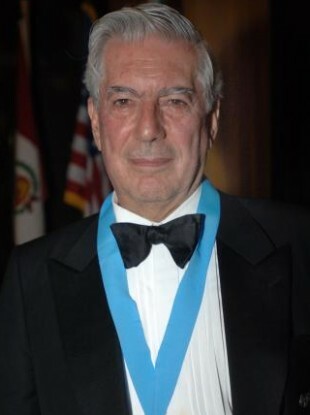 MARIO VARGAS LLOSA has been announced the 2010 Nobel laureate in Literature. The 74-year-old Peruvian author of important novels such as The Green House and The War of the End of the World was praised by the Nobels committee “for his cartography of the structures of power and his trenchant images of the individual’s resistance, revolt and defeat”. Vargas Llosa is one of the most celebrated Spanish-speaking authors in the world, a novelist, essayist and playwright. His works often tackle what the New York Times called today “the perils of power and corruption in Latin America”. The author remains politically active although his politics have moved gradually from the left to the right end of the spectrum. He initially supported Fidel Castro in Cuba but after Castro imprisoned the poet Herberto Padilla, Vargas Llosa, like many intellectuals of the time, began to move away from the regime. He is a contemporary of the Colombian Gabriel Garcia Marquez, who was the last South American author to win the Nobel for Literature (in 1982), and the two were once good friends. However, the pair fell out in 1976 when Vargas Llosa punched Garcia Marquez in the face at the Palacio de bellas Artes in Mexico city. Neither of the writers have ever spoken publicly about the cause of the row but they are believe to have not spoken since. Email “Vargas Llosa beats all others to the Nobel punch”. Feedback on “Vargas Llosa beats all others to the Nobel punch”.